The DACOR Bacon House features various indoor rooms and a beautiful patio. 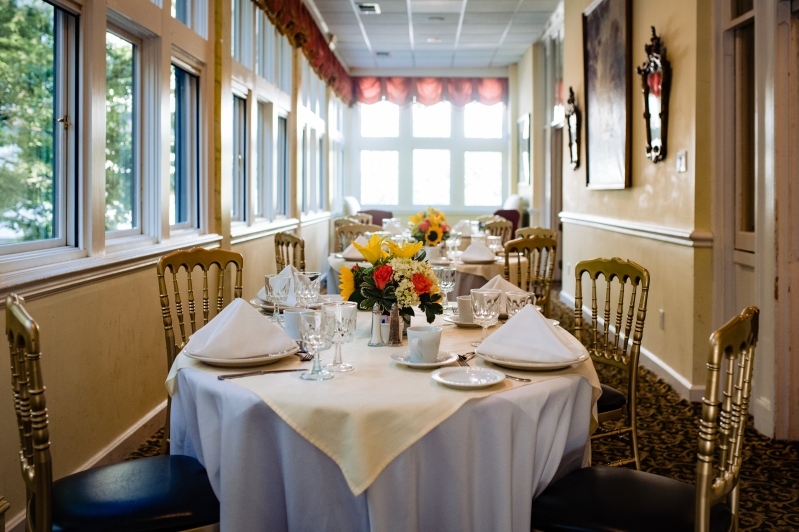 Events can be held in an individual room, groups of rooms, or the entire House as needed. 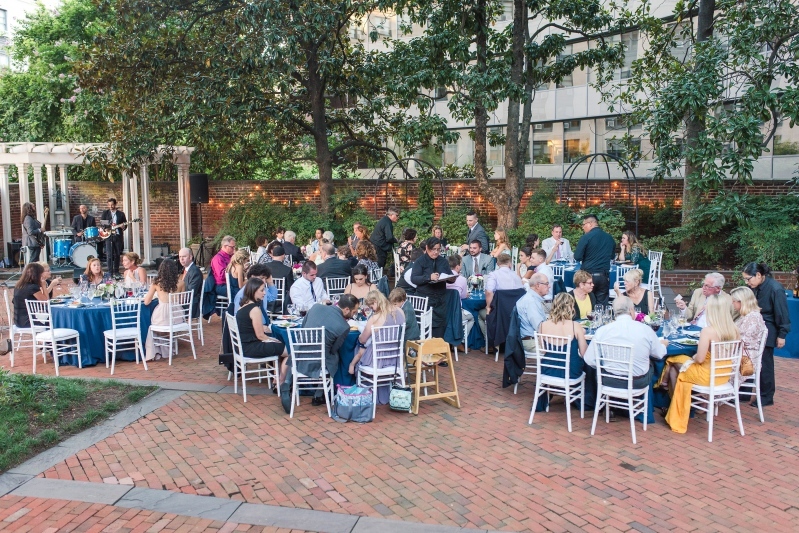 Meg Sharley, Director of Events, and her team will work with clients to make sure they have the perfect space, set-up and necessary items for their event. 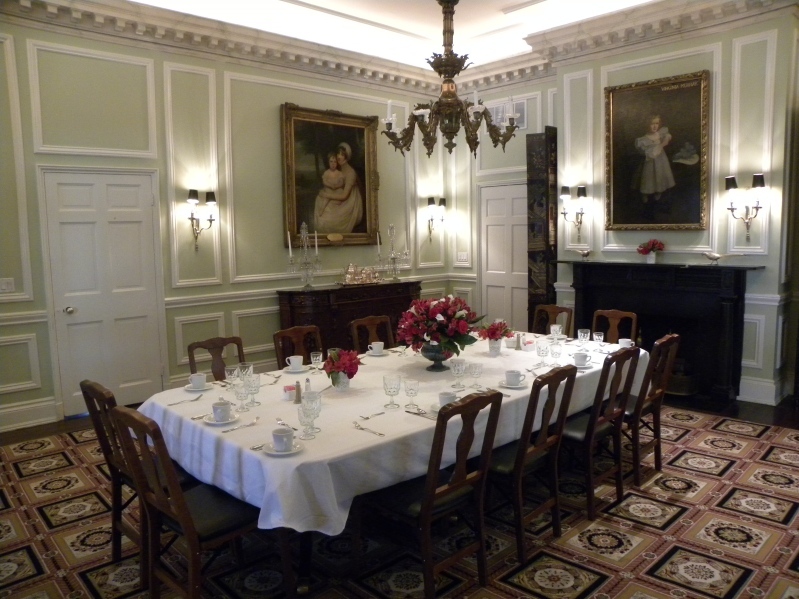 Elegant and exquisitely proportioned, the dining room is one of the House’s finest rooms. The space is anchored by a mid-nineteenth century Victorian walnut sideboard, upon which a pair of Anglo-Irish crystal candelabrum sit. Portraits of Virginia Murray Bacon’s ancestors grace the walls, recalling the bygone era of family portraiture. The warmth of the candle-lit chandelier adds extra charm. To walk into the North Drawing Room is to walk in the footsteps of U.S. Presidents, politicians, diplomats, social leaders, and foreign dignitaries. 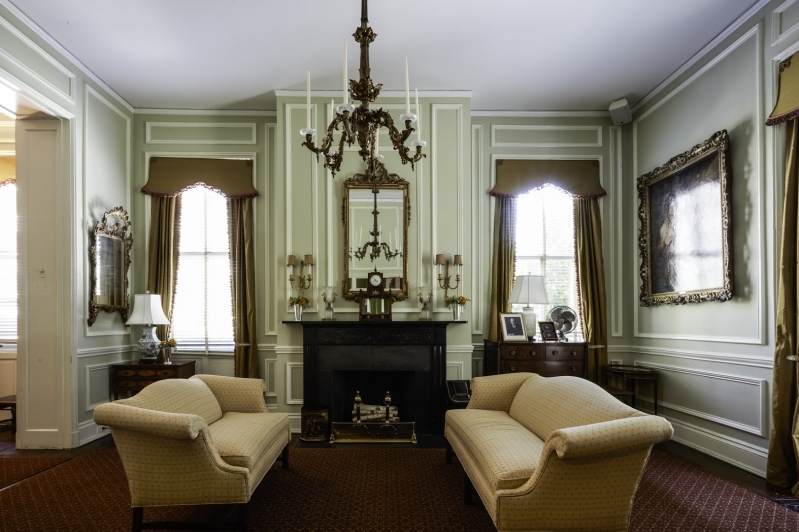 It is the House’s formal entertainment room and is dominated by the gilt mirror shipped to the Carroll family from England nearly 200 years ago. Virginia Bacon added the Steinway grand piano and loved to entertain her guests here with an evening of music, often provided by her good friend Arthur Rubenstein, who stayed at the Bacon House while in town. The Steinway grand piano can be used upon special request. 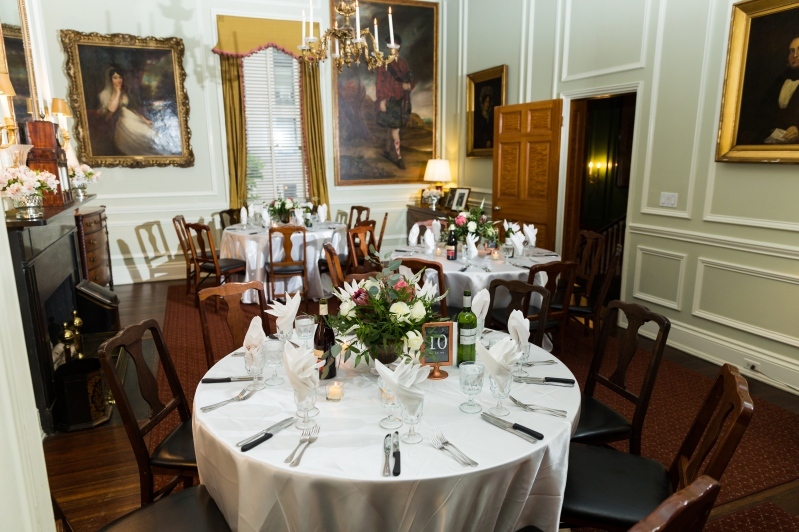 The North Drawing Room is now a favored indoor location for wedding ceremonies. 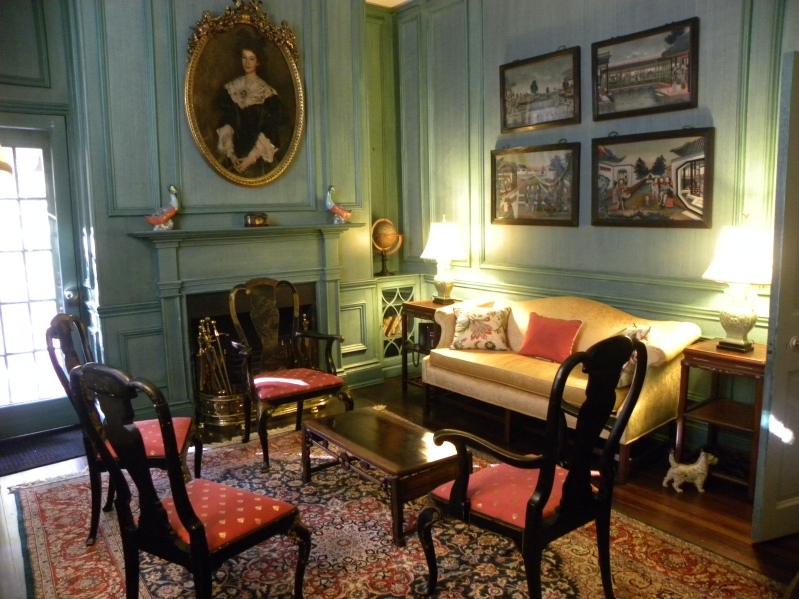 The South Drawing Room is the first of two grand reception rooms used for welcoming guests to the house. Warm and intimate yet generously proportioned, this room fosters wonderful conversation and was often used to this end by resident John Marshall, Chief Justice of the Supreme Court, and his colleagues as they relaxed over glasses of wine to discuss the matters of the day. Today, this is a multi-purpose space used for high profile functions, from receiving lines to multi-course dinners. A bright and airy space which runs the full length of the house, the Gallery’s large windows overlook the inner courtyard and old Carriage House. On the south wall hangs a 19th century French garden scape, embraced by a pair of Venetian shield-shaped pier mirrors. It is here that member lunches are held every week. This sunny, flexible space is perfect for daytime lunches or evening buffets. The Green Room, hidden in plain sight, is famous for the off-the-record negotiations that have occurred within its walls over the centuries. Rumors abound about which foreign dignitaries have secreted away here but we’re not talking. The room is graced with the original 1825 fireplace mantel and unique Asian glass paintings. This is a room for private conversations, over coffee or good meal. From 1825 until the early 20th century, the Meeting Room housed the kitchen and served as a central work area for servants. Today, it is a gathering place for members, their guests, and other visitors and is often used as a reception area prior to events. 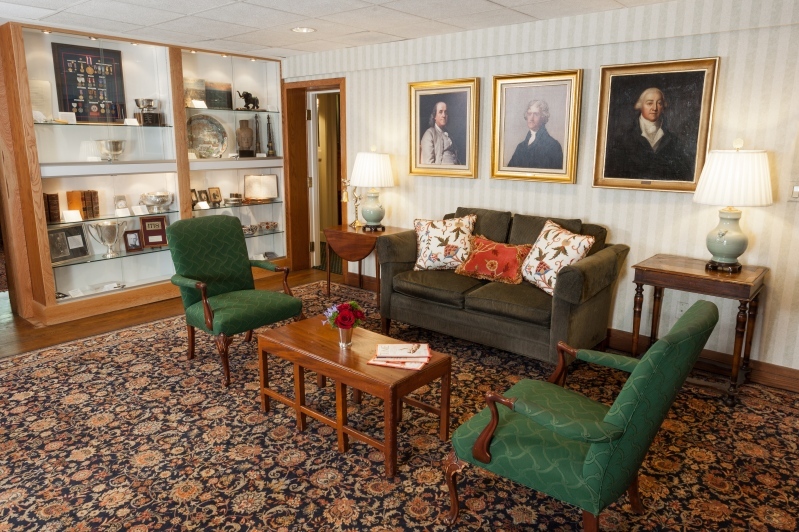 It is currently decorated with Americana and Foreign Service memorabilia donated by DACOR members. 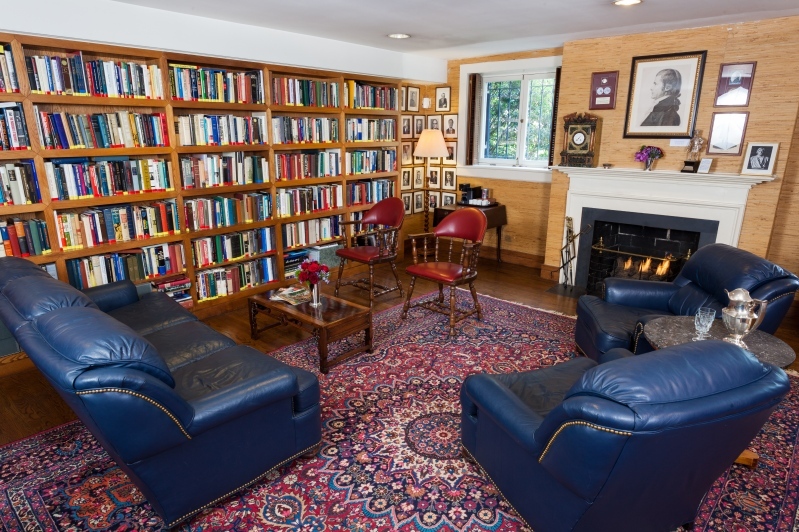 What was once the Butler’s Quarters is now a dedicated diplomatic library containing 1,400 volumes. The centerpiece of the room is the American walnut desk, made for Secretary of State John Quincy Adams, which is on permanent loan from the State Department. The Library is now used as a casual meeting space, but can be converted to host a lunch or serve as a bar area.